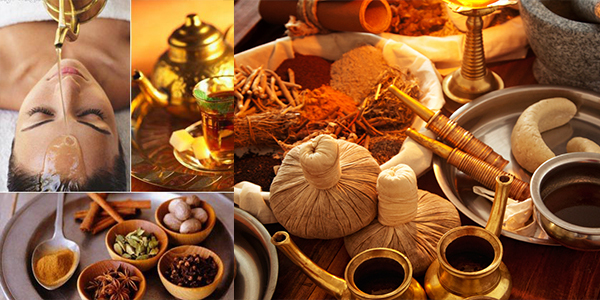 Unani Medicine: Traditional Healing. Modern Uses. – NATURES' FIRST PATH: HOlISTIC MEDICINE. Posted on November 30, 2017 November 30, 2017 by Natures First Path: Holistic Nutrition. Here a Natures First Path, several techniques are employed to help you get back to feeling your finest. While I primarily work through Nutrition to heal; and it is the main bulk of how the services are done. I also use different disciplines to help the client as well, many of which you have been reading about here on the site. A system that has great value within this practice this been the Unani-Healing system. You may be asking just exactly what this is and how it can be of benefit to you; all of which we will answer in detail in this piece. HISTORICAL HEALING FOR THE PRESENT. Just what is Unani Medicine? It has it lineage from the healing systems of Greece, thus the term Unani. But the full scope of the healing methods includes the addition of the, Arabic Medicine, Indian Medicine (Ayurvedic), Traditional Chinese and also includes elements of African Healing within it as well. And all of this merged at a time when the true focal point of healing the person was centered on prevention and if sickness occurred; getting to the full root of the problem to eliminate it. Running throughout this system of healing is the concept that element of: Hot, Cold, Wet and Dry all affect and play a part into how we digest food, feel throughout the day and even how our emotions play a part in our wellness. It is through the 4 Humors of: Blood, Phlegm, Black Bile and Yellow Bile that are responsible for keeping harmony and balance within the internal organs in the body. This system is very timely for this era that we live today, mostly due to the fact that it places a heavy focus of the healing of the stomach. This idea of keeping the stomach balanced for true optimal health is nothing new, but just as of late has our society started giving so much importance to gut flora; now you see pre and probiotics advertised everywhere. Before going deep into answering that it is important to know what the 7 components of Unani Medicine are: 1) Understanding the Arkan (Elements), 2) Mizaj (temperaments) 3) Akhlaat (humors) 4) Aaza (organs), 5) Arwah (Vital Life Forces) 6) Quwa (faculties) and 7 Afaal (functions). The practitioner takes knowledge of these 7 points to administer a prescription that will affect the cellular level of the person, all the way up to the skeletal and even up the surface skin of the person. In other words, it is a completely holistic healing system and framework. It will start with slight and light administering of herbs and lifestyle adjustment that will then bring about the Healing Crisis which lets the healer and the client know that the effects are working. A major healing herb within Unani is Nigella Sativa, also known as the Black Seed. It is used readily because it prompts cleaning of the bowels and thus the colon; Unani medicine uses stool analysis in order to measure the level of inflammation and toxicity in the body. This applies today because, many of don’t really know where the root of their sickness is embedded. Natural healing options like this go much farther than what we know of today because its treatments are not just seen as a short term fix, but a complete way of life. This is just an insight to Unani Medicine, but the depth of it is very large. In the meantime, you’ll be good to know that Natures First Path will use it when necessary or when requested to promote the best health possible.